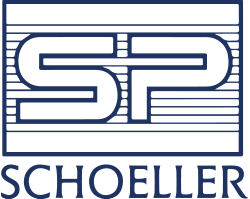 21st June – Schoeller Allibert Group inaugurates today its 14th production plant in the world with a very modern factory in Beringen, Belgium. It will be a model factory for all future plants of the group. This new facility with a 6.000 m2 production hall has the biggest injection Moulding Machine in the Benelux region. 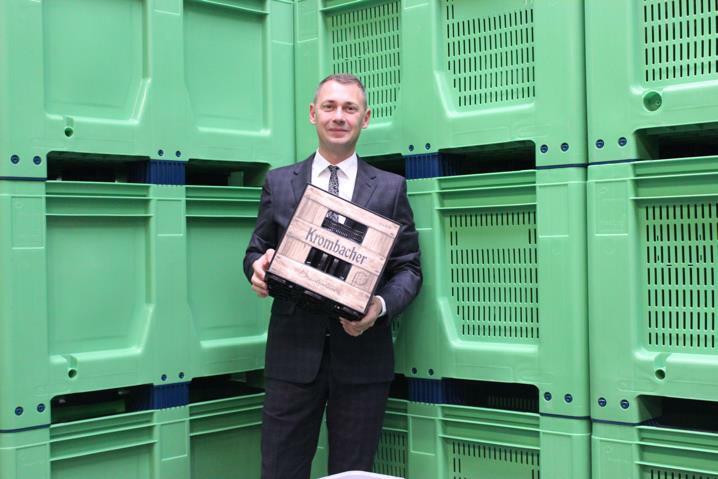 Ludo Gielen, Chief Strategic Growth Officer at Schoeller Allibert Group, explains “Our mission is to convert where possible, one way packaging (like wooden boxes) into RTP’s for a better world for the next generations”. An ambitious project, for a visionary group. The Schoeller Allibert Beringen factory is one of the latest and most important projects of the group, the building process started in January 2017 and the facility was already producing its first product the 14th August the same year. This will be the first factory where Schoeller Allibert will start to produce “circular plastic pallets” as from 2019. The factory has a production hall of 6 500 m2 with an outdoor storage space of 4 500m2 and 1 200m2 for offices which welcome over 40 employees on site. It produces approximatively 700 pieces of “big boxes” a day in any color and with customer specific hotstamped print on it. The biggest injection moulding machine in the Benelux region is proudly installed in the production hall, which can welcome up to 15 machines. This machine is not only impressive by its size, it also has an amazing capacity of 60 liter shot volume and 4 000 ton closing pressure. The worldwide market leader in Returnable Plastic Packaging Solutions has a strong vision, which is implemented in the strategy and mission of the group through projects such as the Greenfield factory. “The industry and the customers move to a more circular and sustainable supply chain and we have to be pioneers on this and foresee the trends and expectations, just like we do with innovation and R&D, if we want to keep up with our market leading position and global vision” says Ludo Gielen, Chief Strategic Growth Officer at Schoeller Allibert Group. This facility is not only green in its name, it also is an energy efficient building and will considerably reduce the costs and environmental footprint of the factory by targeting the needs of the clients nearby in the Benelux region, West-Germany and UK, which are very important markets in terms of sale. Indeed, the group had no “big product” factory in Benelux and now they can serve in a range of 300 à 400 km, including the UK market with “big products”. In order to live up to the mission & vision, the group puts an emphasis on the fact that it should produce locally where needed and follow the market. With this new factory, Schoeller Allibert not only puts more credibility to their global positioning as a sustainable company, they also give a new image to the conception of what an industrial factory should be, more modern and nice to look at. Guy Wastiau & Allen Zimmerman, a renowned Belgian architect, inspired himself of the work realized in the group’s factories. The shape of the building is very characteristic with round slopes in it which symbolizes the flow of plastic in the injection moulding process. The Main contractor of the building, was Guy De Pelsmaeker. Brookfield Business Partners L.P. (NYSE:BBU) (TSX:BBU.UN) („Brookfield Business Partners“), together with institutional partners (collectively „Brookfield“), announced on May 15, that it has completed the previously announced acquisition of a controlling interest in the Schoeller Allibert Group B.V. (“Schoeller Allibert”), one of Europe’s largest manufacturers of returnable plastic packaging systems.